Gold-tone salt and pepper shakers. 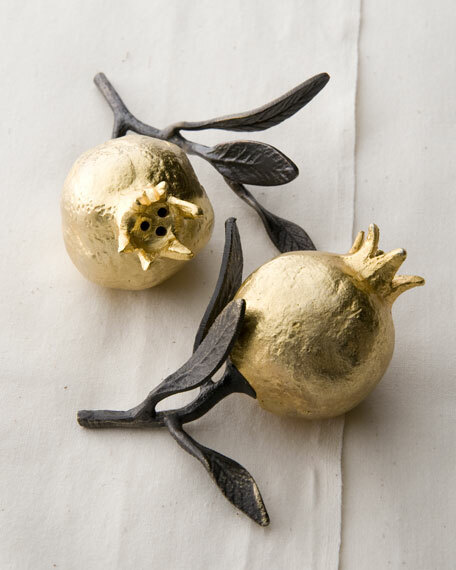 Gold-tone metal and oxidized bronze. For in-store inquiries, use sku #284662.